Last year Re:Source Media’s TV crews shot 5 different television series in 15 countries across 5 continents. We were fortunate enough to be at the center of some of the most important events of the year as we filmed the DMZ between North and South Korea, captured the hope and defiance in Cairo’s Tahrir Square, enjoyed the optimism in Dubai and explored the smaller (populations of only 10 million people) cities of China. We were fortunate enough to eat at the best restaurants in Istanbul and sample the best wines of Rioja in Spain. We enjoyed the sunshine in Argentina and the tropical warmth of Singapore. We interviewed corporate titans in Germany and the political heavyweights of Brazil; all in the pursuit of telling the most compelling stories. You see at its’ very heart, television is about storytelling and so we dedicate ourselves to finding, understanding and delivering the most insightful and interesting stories from across the globe. Not a bad job really. If fact we think we have about the best jobs in the world. Re:Source Media is ideally situated to identify and understand global shifts in ideas. With offices in Toronto, New York and Bangkok and partners from Cape Town to Taipei, Re:Source Media is fortunate to have a privileged window to the world. So if we’re producing a TV show about the future or the past, about food and wine, or travel and lifestyle, we bring a global team with a global outlook. And this means the tens of millions of homes that we reach each week also get to share in this insight. TV production is a journey and so we have spent years carefully assembling the right team. 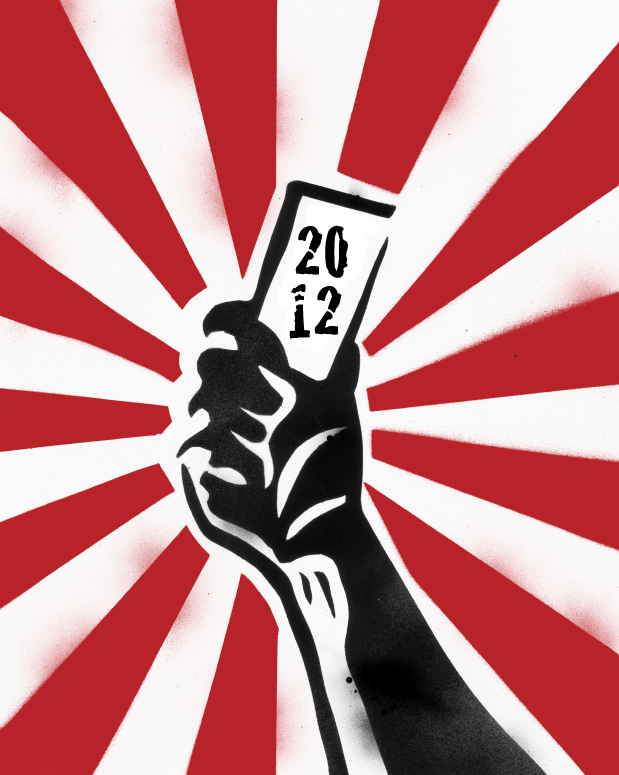 And so for the year ahead we’re not making a new year’s resolution, we’re counting on a new year revolution. We want to improve upon how we tell stories by increasing our ability to broadcast directly to viewers with live streaming and deeper social media interaction. And we want to continue to grow and build our broadcast footprint and relationships with leading television networks across the globe. The world is changing and so are we. Yes the revolution will be televised but it will also be tweeted, facebooked, blogged and streamed. And we want to be at the center of it all. Here’s to another year of great stories and compelling television.